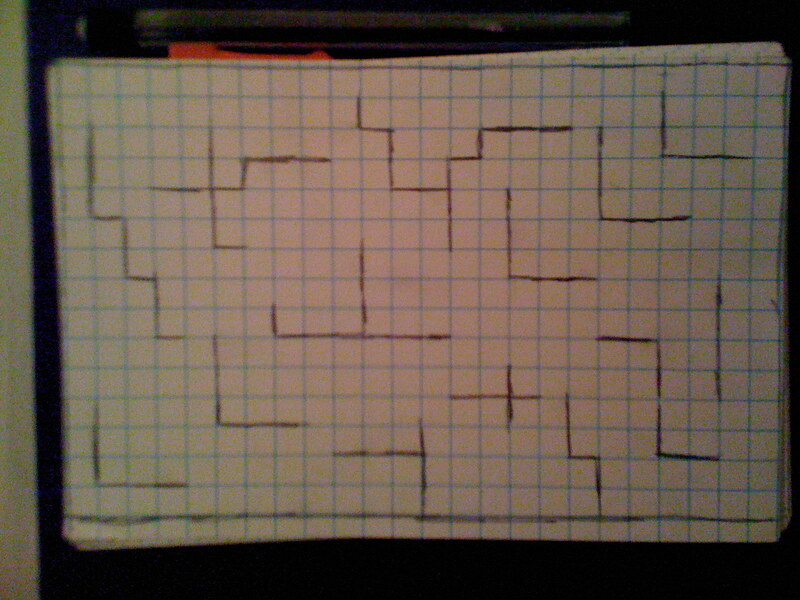 Yeah, I already had these pictures ready so I’m going to put them up now, but I won’t do any more of these mazes until I have some means of scanning them or using a higher resolution camera, so people can actually do the mazes (although the last picture in this entry might be close enough to the camera for you to try it out without too much eye damage). I promise, that’s actually solveable. They’ll be neater when I figure out how to get them higher-res and put some more up here. I’ve actually got a 50-level “dungeon” of notecards from high school that presents new gimmicks every few levels with a tutorial level for each, ala some sort of puzzle video game… Yeahhh, I think I spent a lot of time on this in middle/high school, hahaha. 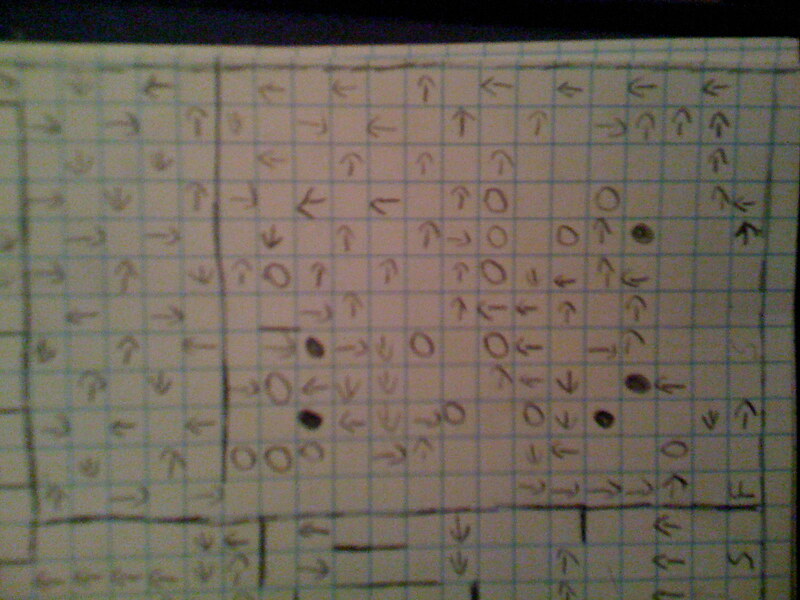 Then I usually draw some random patterns to randomize the eventual setup of the maze (this’ll make more sense later). 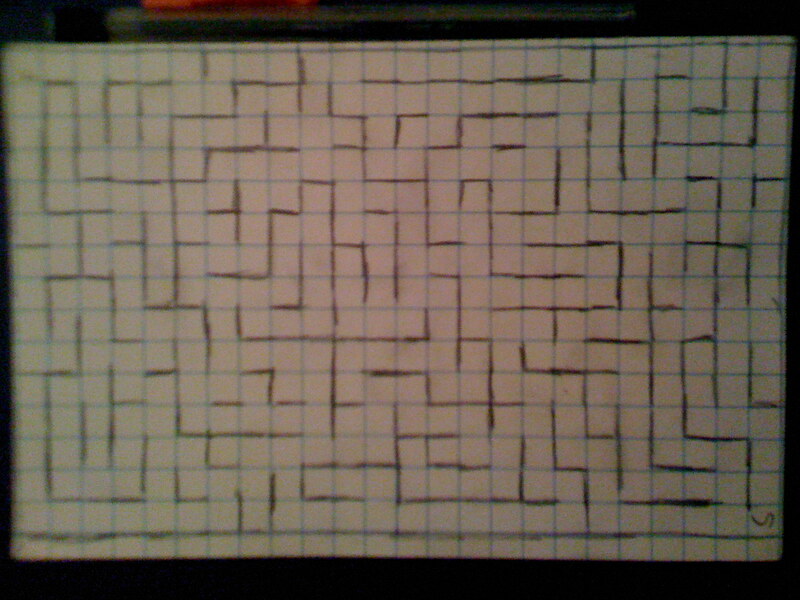 This is more when you plan out the overall layout–you can make mostly separate but barely connected sections of the maze that’ll have little mazes in them, or just do some random short lines and crosses here and there and make the entire thing continuous. You’ll wanna plan out where to put a start and finish here, too–I usual just mark them with an S and an F, uppercase. Good times! 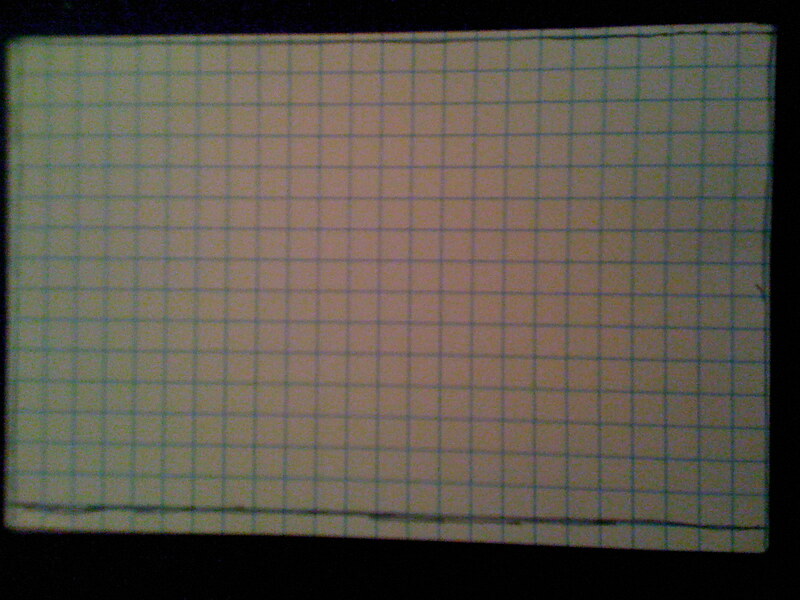 These are fun, especially on big, full sheets of graph paper. 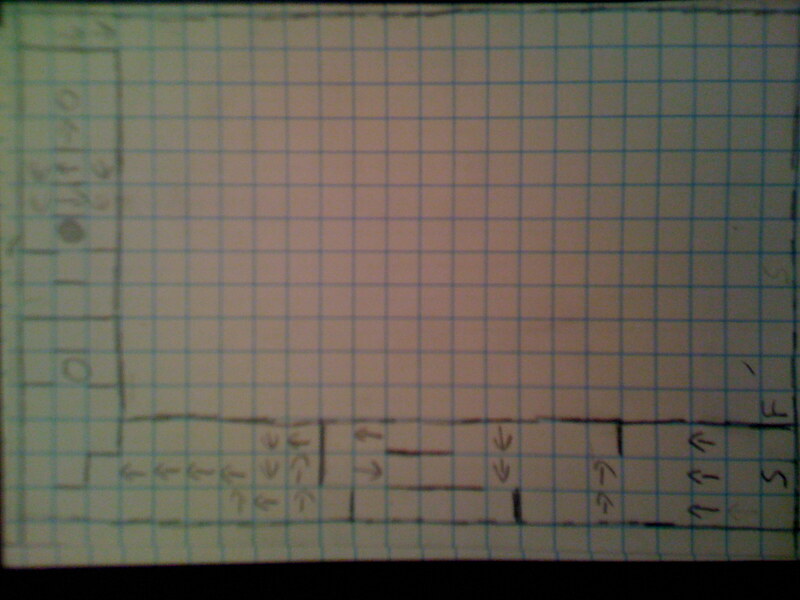 In a later entry (probably tomorrow) I’ll go into why I kept making them–eventually I started adding one-way corridors, warp panels, jumping pads, locked doors and keys, full pages with punched-out squares that you could go into and come out on the other side of the sheet, and many more so on. Talk about creative outlets, haha.